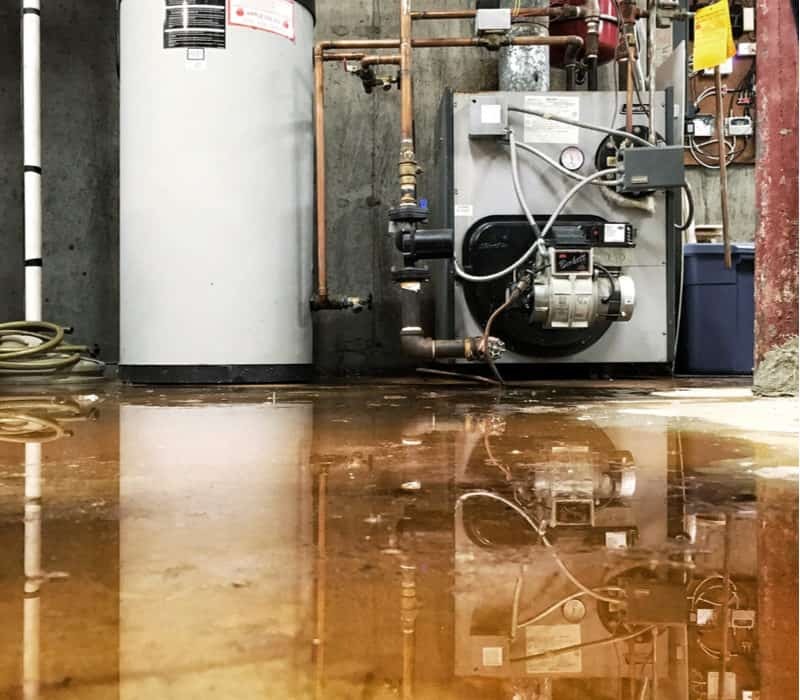 Common reasons for basement leaks and how to stop them. A wet basement can be a nightmare. Water can lead to mold, efflorescence, and structural damage. This guide will show you common reasons for basement leaks and seepage, and how to fix them. If you have a water problem in your basement and want it fixed quickly and professionally, contact the folks at Dry Basement Solutions for a consultation at 201-258-4540. If water pools around the walls of your basement, it is only a matter of time until moisture starts seeping through. Groundwater leaking into your basement is often a problem with the area around your foundation, not the walls themselves. 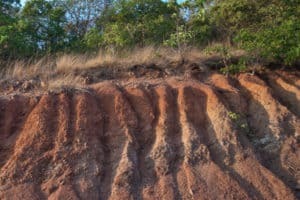 Expansive clay soils, common in NJ and southern Pennsylvania, retain water and press against your foundation. Water follows gravity to the lowest point it can reach. Builders can take advantage of this to keep the ground around their construction as dry as possible. From backfilling with porous soils and rock to installing drainage systems, water should not be allowed to pool up around a home’s foundation. Properties at the bottom of hills or built on clay soils can complicate drainage problems. Concrete walls are fine for resisting moist soil and rainfall, but they aren’t meant to act like the hull of a boat. If you notice swamped soil or standing water around the perimeter of your house and the basement is damp after a rainstorm, you might have a drainage problem. 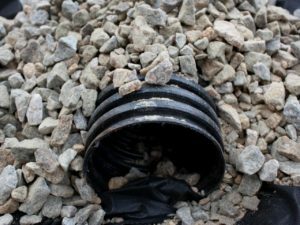 A french drain is a system that carries water away from your foundation. To create a french drain, workers dig a trench parallel to your foundation. A perforated pipe sloping away from your house is sunken into this trench, and the pipe is covered with gravel to create a trap for groundwater. A soil barrier is laid down atop the trench to keep the system from clogging, then the trench is filled in and the area can be landscaped like any other part of your property. Once complete, a French Drain is a reliable way to keep your basement dry. It uses gravity and is not prone to breakdowns or vulnerable to power outages. Sometimes passive solutions like a vapor barrier or a french drain are not enough to control poor drainage. A sump pump is an active solution. An electric water pump is installed to drain a small interior well (the sump) that collects moisture from your basement. The pump kicks on automatically as the sump fills with water. 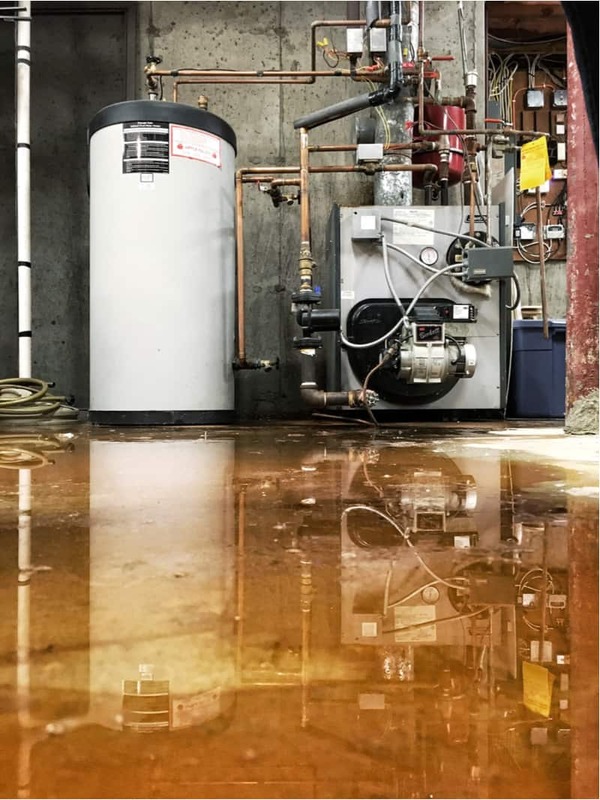 Sump Pumps are a common feature of newer construction homes with finished basements, but unfinished basements and older construction often lack even basic waterproofing. 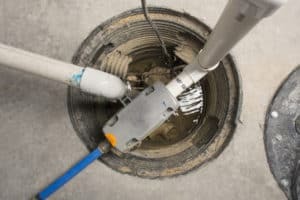 If you have a sump pump but water is still leaking into your house from outside, it might be damaged or not have the capacity to handle your drainage situation. Sump pumps also have a fairly short lifespan, with most models designed for ten years under normal use, and less under heavy use. Poured concrete and brick and mortar walls are both prone to develop minor cracks and leaks, in different places. Concrete walls are vulnerable to small cracks and fissures as the foundation of a homes settles. These cracks are normally harmless, but expanding soils and water pressure can force water to seep through into your basement. Brick foundation walls weakest point for water infiltration are the courses of grout that hold the bricks together. As water and pressure wear the grout away, water can begin draining into your basement. Even if your walls are not cracked, there are small gaps where poured concrete walls meet the foundation slab, known as cove joints. These joints don’t normally leak, but when the water table is high or expansive soils exert hydrostatic pressure against the foundation, water can be forced through these small joints and cause leaks or seepage at the bottom of your walls. Cracks on the inside of your basement walls can be repaired easily as long as the damage is cosmetic and the wall is structurally sound. Structural damage can be reinforced with carbon fiber strips or steel beams. If water is leaking in at multiple points on the wall, a polymer moisture barrier product can be applied to seal out the masonry. These techniques can be applied to exterior cracks as well, but the repair team will need to excavate around your foundation first. 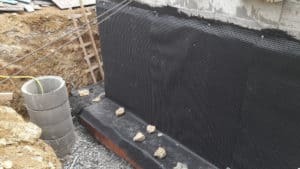 A moisture barrier system around vulnerable foundations can be combined with a french drain system and backfilling with non-expansive soils solve more difficult basement leaks. Water follows gravity, so it will never leak up your wall. If water is coming through your foundation from outside, it will be entering at ground level or below. Basement leaks above ground level are probably coming from somewhere else. This could include damaged siding, leaking pipes, or damaged caulk around showers, tubs, and sinks. Solution: Check for leaking pipes. Water is probably draining from a leak directly above the wet patch on your ceiling. If there is a fixture like a sink above that point, it is probably the culprit. It could also be a leaking interior pipe. Either way, leaks in your basement ceiling are more likely plumbing problems than basement waterproofing ones. Take a walk around the outside of your home and look at the foundation for any visible cracks. You’re looking for narrow vertical cracks, probably less than 1/8th of an inch across. It’s normal to see uniform form lines from the wood frame used to pour the foundation. If you don’t find cracks in the foundation, look inside for discolored rings on drywall, efflorescence on masonry or concrete, or areas that have mold or mildew. These are all signs of the general area of the leak. If stains, leaks, or seepage are in the center of a ceiling, there is probably a pipe or sink leaking above it, not the foundation itself. 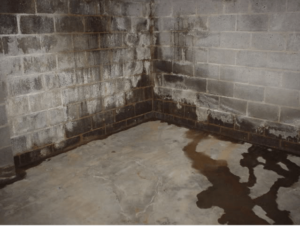 High humidity can also cause effects similar to a basement leak. 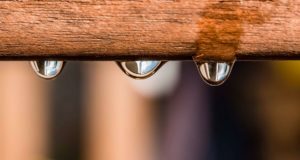 If things are generally damp without signs of a distinct leak, your basement may need a dehumidifier to control moisture. Cooler surfaces that appear to “sweat” in the summer, like glass and exposed metal, are sure indicators of humidity. If you are struggling with water leaking through walls in your basement, contact the professionals at Dry Basement Solutions for a consultation. Their experienced teams know how to stop basement leaks and seepage for good! Call 201-258-4540 for a consultation.